Bobcat of Ames has a full arsenal of new, compact Bobcat equipment to make short work of nearly any job from start to finish. A new Kubota delivers all the power you need to get the job done. When you need to mow, move, dig, push or haul it, count on Kubota. Bobcat of Ames carries a wide variety of guaranteed used equipment to correspond with every project’s budget and needs. To preserve the integrity of your equipment, Bobcat of Ames features lubricants and parts from its original manufacturer- and factory-certified service technicians. 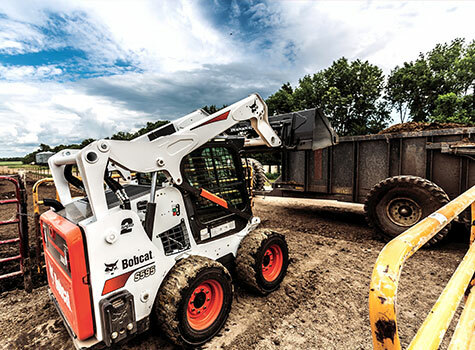 Bobcat of Ames, a division of Capital City Equipment Company, offers a complete line of new and used Bobcat and Kubota equipment including, but not limited to, skid-steer and track loaders, excavators, tractors, telehandlers and attachments. Bobcat of Ames has been serving the construction industry since 2000 and is the trusted source for all your buying, renting and service needs. We also are an independent and locally owned rental company providing the best and most comprehensive selection of homeowner and party rental equipment available. 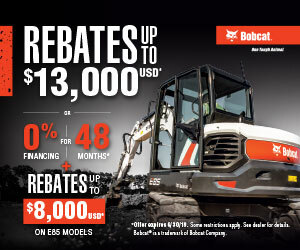 To see our complete line of Bobcat, Kubota and other equipment or for your rental needs, please stop by.